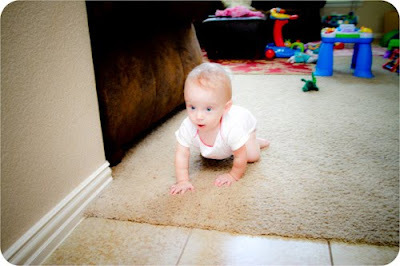 Ruth's Story: Crawling & Standing! On a happier note, Ruth is crawling much faster! I can no longer set her down in one part of the room and expect her to stay there. She is on the move! 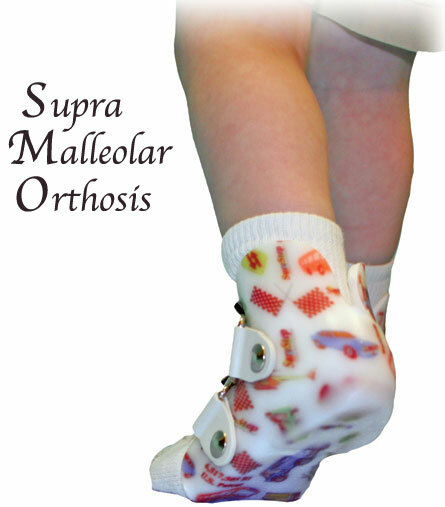 Her ankles roll in a little bit when she stands, so she wants me to have her pediatrician write a prescription for SMO's, which are ankle braces to give her more support. The hope is with these she will just take off! 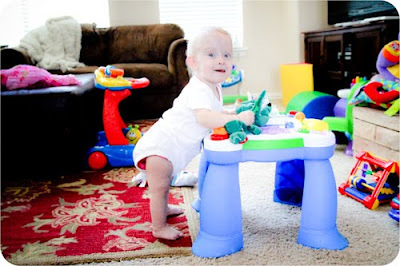 She will be taking a little break from PT while she recovers from the ETV surgery, but hopefully not too long. She is making such great progress.